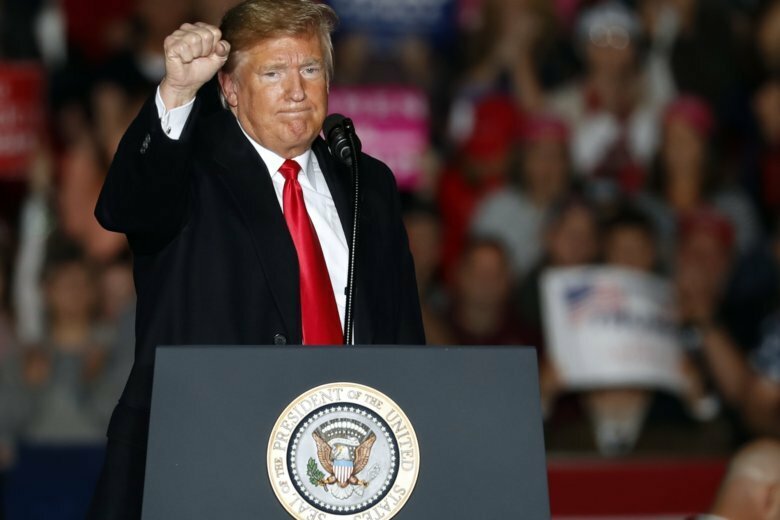 WASHINGTON (AP) — President Donald Trump’s campaign rallies continued. Attack ads stayed on the airwaves. Political combat largely carried on. Amid a wave of election season violence that left many Americans on edge, the contentious midterm campaign has barreled forward with little pause. Trump and other politicians disavowed the pipe bombs sent to prominent Democrats and condemned the massacre of 11 people at a Pittsburgh synagogue this past week. But the divisiveness that has dominated the nation’s politics kept creeping back. The attacks are a grim capstone to a midterm campaign that will serve as a referendum on Trump, whose unorthodox approach to the presidency is particularly glaring in times of tragedy. With less than two weeks to go before Election Day, Trump was among many politicians who largely stuck to the script, raising questions about whether Americans are becoming increasingly desensitized in the wake of tragedy. Some Trump supporters have begun to suggest that the president modulate his searing and personal attacks on his opponents — including those targeted by the Trump supporter accused of mailing pipe bombs to several Democrats. Trump appears unlikely to take that advice. The president did not cite any examples of the type of reporting he believes is stoking division. He’s also kept up some of his attacks on others targeted with pipe bombs. On Sunday he called Democratic megadonor Tom Steyer a “crazed & stumbling lunatic” and warned that backing Democratic candidates would be a vote for California Rep. Maxine Waters, who he has previously said has a low IQ. The president also did nothing on Saturday to stop his supporters from chanting “lock her up” — a frequent rally refrain about Hillary Clinton, his opponent in the 2016 presidential election. Of course, Democrats have been just as blistering in their condemnation of Trump during the midterm campaign. Some have declared him unfit for office and a danger to democracy. Many were also quick to blame him for creating the atmosphere that led to this week’s violence. It was mainly in Pennsylvania where the impact of the violence on the campaign was really noticeable. Pennsylvania Democrats Sen. Bob Casey and Gov. Tom Wolf, as well as Wolf’s Republican opponent, Scott Wagner, all announced on Sunday that they were canceling campaign events. Wolf also took campaign ads off the air. But across the country, millions of dollars in negative political advertisements still filled the airwaves, including some referencing billionaire George Soros, a liberal donor who received the first pipe bomb last week. Violence has intruded in political campaigns before. When a gunman killed 12 people in a movie theater in Aurora, Colorado, during the height of the 2012 presidential campaign, both Obama and Republican nominee Mitt Romney paused some campaign activities. “There are going to be other days for politics,” Obama said at the time. Trump’s explanation for going forward with his political events was far different.